As a Mum, I am well aware of the potential pressures on young people and parents alike. I also know how rewarding life can be when both children and parents are thriving. With this in mind, I offer the life-changing Thrive For Teenagers Programme® for young people aged 11 upwards. 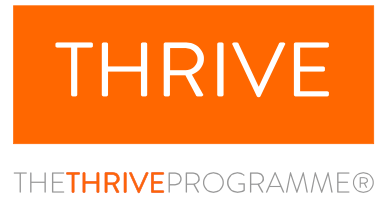 Like the adult Thrive programme®, the one-to-one sessions with me are supported by a Thrive For Teenagers manual, written by Rob Kelly with the specific aim of supporting teenagers to live happy, confident, positive lives. The Thrive For Teenagers Programme® usually involves 6-8 sessions with me to train your teenager to really understand themselves so that they can change their beliefs and thinking-styles. This empowers them to have increased self-esteem and feel more in control. For young people under the age of 16, one or both parents or guardians need to be present in the sessions. This helps you to understand your child’s situation and it also enables you to support them outside of the sessions. I hold an enhanced CRB check in order to work with young people. Please contact me to book a free initial consultation so we can get your child Thriving. The Cure Your Emetophobia and Thrive Young Person’s Edition book was very easy to understand and work with. Emily has learnt through the programme to feel better about herself and has improved her self confidence.